WBHRB Recruitment 2019 - Apply Online for 402 Tutor/ Demonstrator Posts in WBHRB, West Bengal. 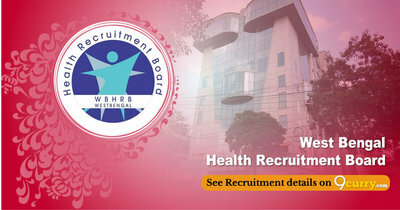 Online Applications are invited by West Bengal Health Recruitment Board (WBHRB) from 12 Feb 2019 to 19 Feb 2019 for 402 vacancies. MBBS Degree from an MCI recognized University in accordance with the regulations made by the Medical Council of India and included in the First or Second or Third Schedule of the Indian Medical Council Act,1956(102 of 1956) with Permanent Registration No. from WBMC/MCI. Eligible candidates may apply online at WBHRB's website (direct link is given below) from 12 Feb 2019 to 19 Feb 2019. Click on "Online Application of Tutor/ Demonstrator".